C-Scapes was founded on the ideals of creating a landscape design/build firm that could consistently coordinate and manage landscape projects of all shapes and sizes. Every C-Scapes project undertakes all aspects of the design process and constructively generates a harmony for our clients. As designs and desires have become more sophisticated, the landscape industry in the South Texas Coastal Bend is in need of qualified visionary professionals who are capable of landscape construction mangement. With professional landscape designers with degrees from Texas Tech University’s accredited Landscape Architecture program, C-Scapes has the ability to design both simplistic and lavish landscapes while attending to all the quirks and often unexpected design challenges that are frequently overlooked by others especially in South Texas and Corpus Christi Coastal Bend areas. We strive to achieve a functional balance between nature and human interaction. C-Scapes Coastal Landscape is the premier general contractor for the entire outside construction of the homes in South Texas, Coastal Bend and Corpus Christi areas. 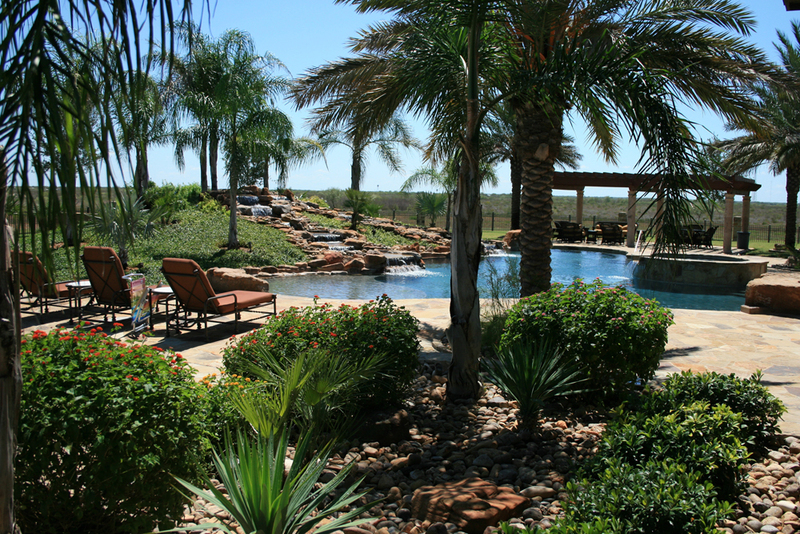 By undertakeing the burden and hassle of construction from the homeowner we are now able to offer the most dependable and capable “team” to generate the most imaginative landscapes throughout South Texas. To be the standard by which all other landscape design/build companies are measured, by placing value on the residence within the community while enhancing both.